Need the Lingerie Selection’s help organizing a Lingerie Trunk Show? 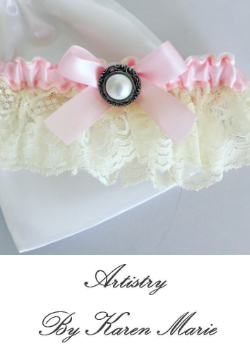 Contact them at: info@thelingerieselection.com. Running a successful Lingerie Trunk Show is no easy task. 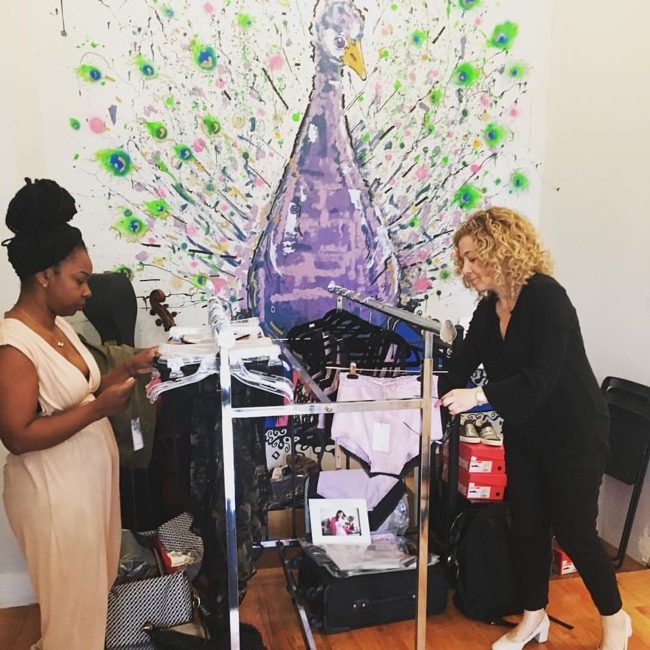 If you don’t know where to start, the founders of the Lingerie Selection (TLS), Maggie Gillette, Melissa Franchi and Alessandra Baker, have some tips and advice to take the stress out of organizing a trunk show. As designers, they’ve worked with a number of boutiques over the years and now they’re are organizing trunk shows under the Lingerie Selection. They work with boutiques to organize and promote a co-sponsored TLS lingerie trunk show event. Something to consider if you want to put these tips into action with some additional help. Make a list of brands you to partner with. Brands you stock and know your customers love is a great place to start. If it’s a new brand, think about how they fit (or don’t) with your boutique’s aesthetics and inventory. 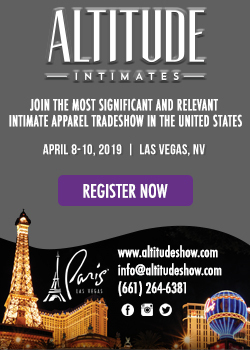 “Additionally, if a retailer has seen a brand either at a trade show or online that they think their customers might like, this could be a good way to test things out without the risk of placing a large wholesale order.” said Maggie Gillette. Above all, focus on your customers. Reach out to your base and ask them what they’d like to see at an event. This way, not only will you please your core customer, the new customers you attract with the event will be the right ones for your boutique. Once you’ve locked down the brands you’re working with, make sure everyone’s on the same page about their roles and who’s responsible for what. If it helps, get everything in writing. “I feel that communication is key. If the retailer needs something from the designer or vice versa they should ask before the event,” suggests Maggie. Establish important considerations like payment and who will provide bags, food, giveaways before the show so that things run smoothly the day of. Having an engaging theme for a trunk show makes it fun, easier to market and gives customers an extra reason to attend. The Seasons and Holidays are always great touchstones for inspiration if you need some ideas. Start reaching out to your existing customer base with regular eNewsletters promoting the event and making the date, time, location as clear as possible. Take your announcement to all of your social media platforms and consider investing in paid or sponsored posts. Facebook has excellent tools to make sure the audience you want to reach gets the message. Consider bringing together a group of designers like the Lingerie Selection does to help boost the success and profitability of a trunk show. “By leveraging multiple brands’ social media networks to cross-promote the event, we’re able to get a broad reach – not only for the specific event-but to build brand awareness for the boutique and participating brands. It’s a win/win that lasts far beyond the event!” said Maggie. Great! You’ve done the pre-planning, organized the show, promoted and it’s the day of…eager customers are walking through the door. Now what? 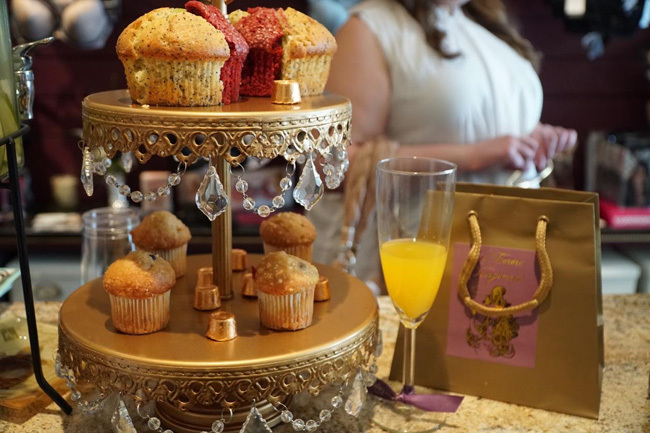 Keeping customers happy, content and focused at a trunk show is another job both the retailer and designer have to keep in mind. Make sure you’ve secured entertainment, music and food and set it all up ahead of time. If you still need help organizing a lingerie trunk show, the Lingerie Selection team is there to help. They’ve worked with boutiques like La Femme Dangereuse, the Rack Shack and Musee Lingerie. Interested in learning more? 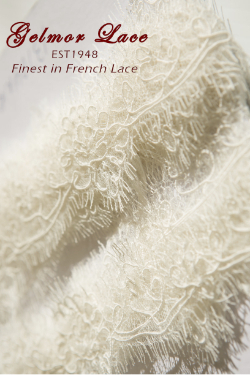 Contact the Lingerie Selection team at info@thelingerieselection.com.